Sibutramine, is an appetite suppressant, thereby affecting the weight loss process. Despite the well-established opinion prevalent in the United States of America, this drug is not addictive. Sibutramine regulates the production of serotonin, dopamine and norepinephrine, increasing their level. In addition, during the administration of the drug, the body accelerates metabolism and increases energy consumption, thereby accelerating the processes of lipolysis. At the same time, which is important during the periods of drying, sibutramine improves mood and vitality. Contraindicated in people prone to mental illness, drug addiction, hypersensitivity, disruption of the cardiovascular system. It is also not recommended for reception for people suffering from glaucoma, pregnant women, children. Not combined with antidepressants. 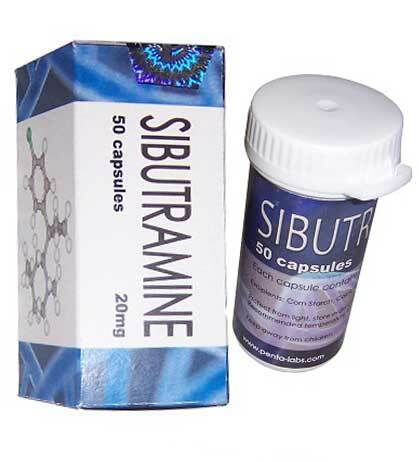 Taking sibutramine can cause such side effects as disturbances in the work of the cardiovascular system, increased blood pressure, mental agitation, dry mouth, nausea and disturbance of the taste buds, disturbances in the work of the gastrointestinal tract, sleep disturbances, periodic pain in the joints and muscles and vision problems. As a rule, these side effects completely disappear after drug withdrawal. However, we do not recommend taking it without consulting your doctor.